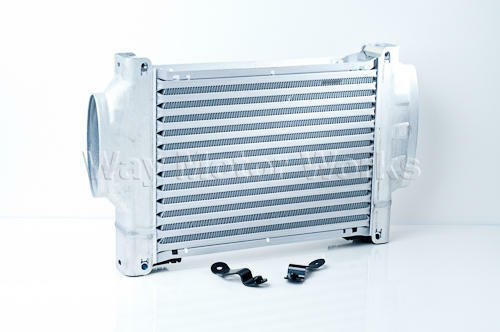 Have an 02-06 R52 or R53 MINI Cooper S and looking for the best intercooler for your MINI Cooper S. Here it is, also rare and hard to find the MINI GP Intercooler has 2 extra tubes compared to the stock intercooler. This makes it more effecient, but with no boost pressure drop. It also fits better than aftermarket intercoolers. The GP intercooler uses the stock front mounting bolts, and has two mounting brackets for the rear that come with it. No modification required.